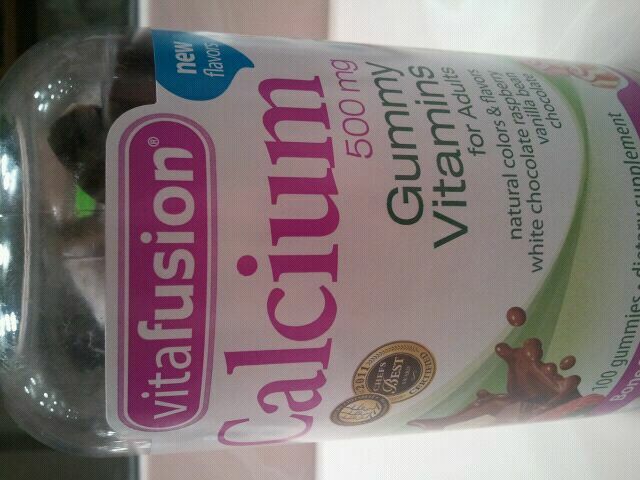 Something different to review, vitamins! I like to take a daily vitamin/calcium and fish oil when it comes to supplements. I mostly take calcium because I don’t always get my 2-3 servings of dairy a day, so I think it helps me reach my quota. (Of course, I always suggest talking to your doctor first before taking any supplements!) I realized I ran out of calcium chews (the horror!! ), and browsed Target to find some more. Why Target? Why not Vitamin Shoppe? because Target is so obviously a much more reasonable place to go rather than, say, a vitamin store, no? (kidding!). 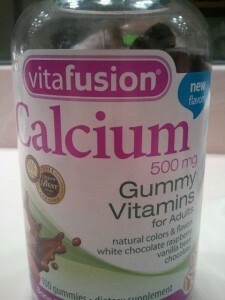 While I was there, I saw these gummy vitamins by Vitafusion that were made with natural ingredients and flavors. It was a rather large jar, with 100 gummies in it, so I was taking a risk buying them. I was sure I’d like them- with flavors like vanilla bean, chocolate and white chocolate raspberry, how could they taste bad!? First, according to the cover, 2 gummies have as much vitamin D as 3 oz of salmon and as much calcium as 2 six ounce glasses of milk. They were also gluten, peanut , egg and soy free. So, I opened up the bottle and took the gummies out. They were really dense gummy bites, and thick. They had a bit of a rough feel to them as well. It was very chewy, and had a rather chalky taste to it. Sweet, but not too sweet, but it did not really remind me of chocolate at all. It kind of had a vanilla flavor to it with an artificial chocolate flavor. Next, I had the vanilla bean flavor. This one was a little better, but not by much. It kind of tasted like the chocolate one, but was a little sweeter and lighter in flavor. 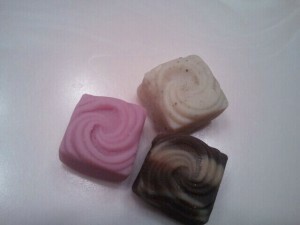 There were tiny black specs in the gummy which Im assuming was the vanilla bean. Another time, I tried the white chocolate raspberry. This one I liked the best. It seemed to be a bit softer than the other ones. It was sweet and had a raspberry vanilla flavor. I wish the whole bottle was just the raspberry vanilla chews! Do you take calcium supplements? What brand? I’d love some options!